As per the existing norm a worker is allowed an overtime of only 50 hours in a span of 3 months. With the recent changes however, a worker can now do overtime for as much as 8 hours per week, which will amount to approximately 90 hours over the standard three-month period. Mr. A Sakthivel, a representative of the industry’s lobby groups was quoted saying “It'll be advantageous for the industry as well as labour”. The Centre corroborated saying that the new cap meets the ILO norms and will help the workers in earning better. Moreover, the Cabinet also introduced the ‘fixed-term employment’ in the industry which was a dire need, given the seasonal nature of production demand. With effect to it, a fixed term employee will now be considered at par with any other workman in context of various heads including working hours, allowances and wages along with other statutory dues. This move, without placing any uncalled for burden on the companies, will help them in dealing with the seasonal requirements by offering them the much needed flexibility in hiring employees. In fact, it is speculated to prove to be great boon for the exporters. The income tax laws have also been altered by the centre now allowing a reduction in the yearly working days for permanent workers for calculation of income tax rebate to 150 days from the original 240 days. This move was initiated in a bid to offer greater flexibility to the industry players. 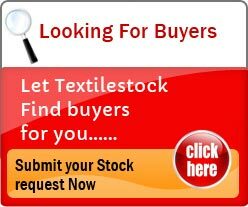 For textile workers earning lower than Rs. 15,000 a month, it has now been made optional for the employer to make contributions to the Employee’s Provident Fund. Many see it as a welcome move and even think this can become a template for a number of other industries as well. Mr. Senthil Kumar, Chairman, South India Mills Association also agreed to the same stating that the move will bring in a great relief to the sector as majority of the employees find it more convenient to take away full wages, especially due to the seasonal nature of the work. This move would also benefit the finance ministry who has wanted to attract the attention of the employees towards the National Pension Scheme. In a bid to push this even further, the centre has agreed to bear the complete 12% of the employer’s contribution as against the current 8.33% towards the Provident Fund for new employees earning less than Rs. 15,000 per month for the first 3 years. This will, however, create an additional burden on the centre to the tune of Rs. 1,170 crores over next 3 years! As per the speculation of the centre the largest chunk of the newly generated employment opportunities in the sector would go to the women as they account for the major workforce in the industry. 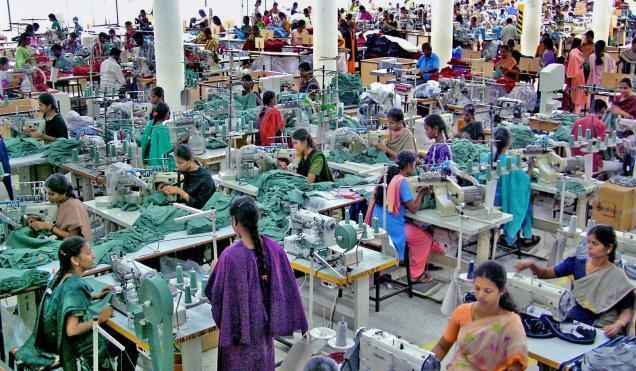 The textile ministry see this policy support as a new ray of hope for the Indian exports which have been overtaken by the Bangladesh and Vietnam markets in the recent past. Moreover, with China facing a substantial slowdown, it might be the perfect opportunity for India to strike the iron while it’s still hot! Mr. B K Goenka, the Chairman of Welspun Group who also happens to be the co-chairman of the CII National Committee, Textiles resonated his feelings on the same stating that flexible reforms will prove to be pivotal in the industry, which is highly labour intensive. Not only will it help in improving productivity, but will also go a long way in putting up with the immense competition. As per a government statement, it is for the first time that such a package is based on outcome based incentives as against input based, which is the usual case. This time, the subsidy has been increased under the Amended-TUFS from 15% to 25%, in a bid to generate employment. A specific feature of the scheme, will allow disbursing this subsidy after the expected number of jobs are generated. While this entire scheme is highly cost-incentive, it is supposed to bring in an immense level of flexibility to the industry and give it the much required boost to the sector on the whole.